Add artfully crafted cocktails to your list of things to look forward to when visiting Puerto Rico. Whether you fancy the classics like a Moscow Mule or an Old Fashioned, or seek the thrill of a hot new alcoholic elixir, you won’t be disappointed. The island’s urbane cocktail map leads to an eclectic mix of hip bars and lounges where dedicated mixing professionals whip up memorable cocktails for today’s discerning drinkers. Bars are aplenty in Puerto Rico, people are drinking and having fun, and there are plenty of beverage practitioners behind bar counters ready to satisfy the thirst for tantalizing libations. Menus cater to the casual drinker or the cocktail obsessive. 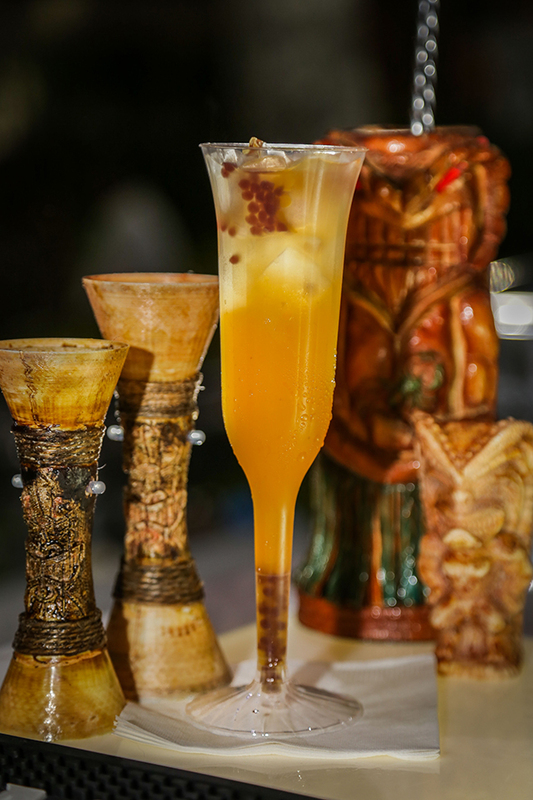 You’ll find the new, the classics, and the latest trends, like the current resurgence of Polynesia-inspired Tiki cocktails, heady mixes of high-octane rums and fruit flavors, syrups based on almonds, coconut or pineapple, cherry and banana liqueurs just to mention some of the ingredients that go into these favored concoctions. Equally popular is the emphasis on health and farm-to-table. Cocktails made with vegetables and fruits are all the rage these days and Puerto Rico’s beverage practitioners are finding exciting ways of pairing spirits with unlikely partners such as spinach, cucumbers, beets, tomatoes, and fresh herbs like basil, sage, mint, or rosemary, some of which are locally sourced for an even fresher, healthy taste. 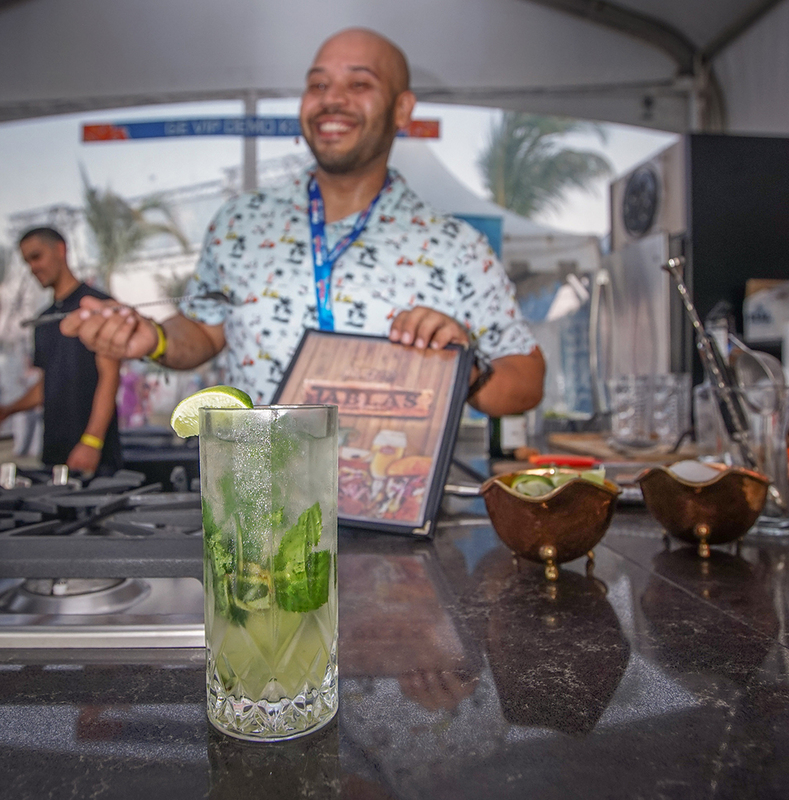 Thanks to competitions that advance brands and promote higher levels of creativity among the island’s bartenders, the opening of new bar concepts and the rise of the mixologist, Puerto Rico can pride in having a world-class cocktail scene. “The cocktail scene in Puerto Rico has grown 150 percent in less than five years. 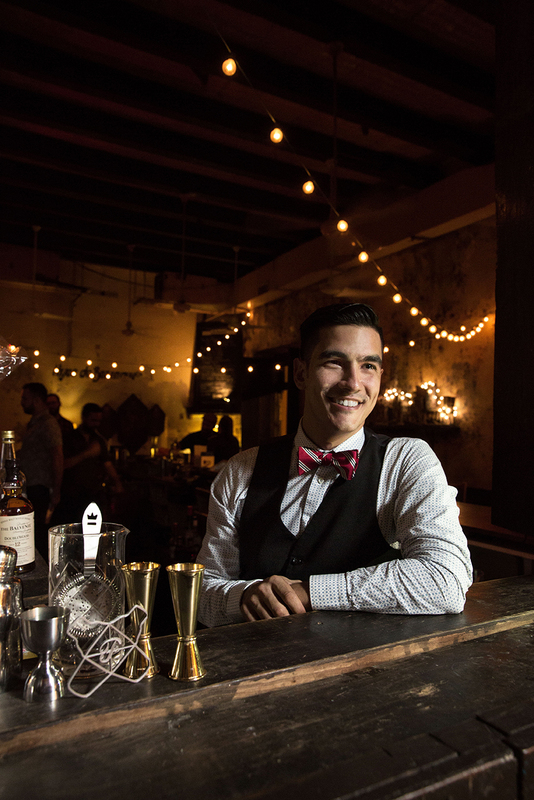 We’re at the level of many cities in the world,” enthuses Roberto Berdecia, a World Class bartender and co-owner of several bars, including Jungle Bird on Canals Street, off the famous Santurce market, and the popular La Factoria in the historic section of San Juan. Based in what was once old San Juan’s most iconic bar, Hijos de Borinquen (The sons of Borinquen), La Factoria is actually four distinctive bars within an old corner building whose rundown facade and maze-like interior affect a carefully cultivated environment of chick grunge, in the style of a grand movie set. Soon, it will add another three bars: one on the second floor and the other two stem from the recent purchase of La Cubanita, next door to La Factoria. Actually, both businesses are part of the same building so connecting the new spaces was no problem. “We have bartenders who in competitions rank among the top four in the world and bars that have won prizes at the national and international level. I always think we still have a ways to go, but I believe that’s how you keep growing,” Berdecia said. Star bartender Luis Pagan from La Coctelera, a small but very pleasant bar on Loiza Street, near the Condado tourist area, agrees the cocktail scene is flourishing but finds the local palate needs to expand a bit further to be on a par with the leading drinking capitals of the world, “the island has very good bartenders and the level of creativity is growing,” said Pagan, who is considered among the island’s top 10 bartenders. Further proof of Puerto Rico’s rising status as a land of mixology is the scheduled opening of a rarefied resource: a laboratory to foster experimentation and innovation in the craft of mixing drinks. The brainchild of Berdecia and his Factoria partners, Leslie Cofresi and Pablo Rodriguez, the lab called Licoreria Miramar will be open to professionals and aficionados on a membership basis. The 4,000-square-foot space, in San Juan’s Miramar section, will have all the equipment necessary for users to explore new ideas and techniques. Such creative laboratories dedicated to alcoholic beverages are not unheard of even if the concept owes credit to Spanish gastronomic superstar Ferran Adria whose famous restaurant el Bulli, on Spain’s Costa Brava, functioned as a laboratory for the creation of haute cuisine dishes. Adria popularized molecular gastronomy by applying principles of physics, chemistry, and biology to the preparation of food, creating spectacular new flavor sensations. Not surprisingly, the world of spirits was inspired to pick up this new science, bringing the art of mixology to a whole new level. Basically, bartenders and mixologists aim for the same thing: to deliver a wow drink. Still, there are differences between the two roles. 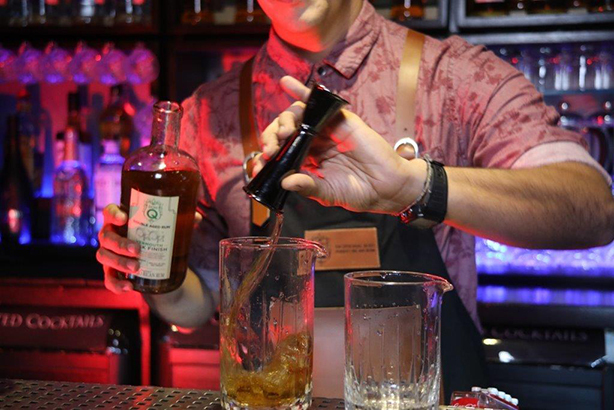 Bartenders know all the basic drinks and tend bar; mixologists spin the old classics into exciting new cocktails and create new taste experiences using different techniques. The two categories are not mutually exclusive: a bartender can also be a mixologist and vice versa. 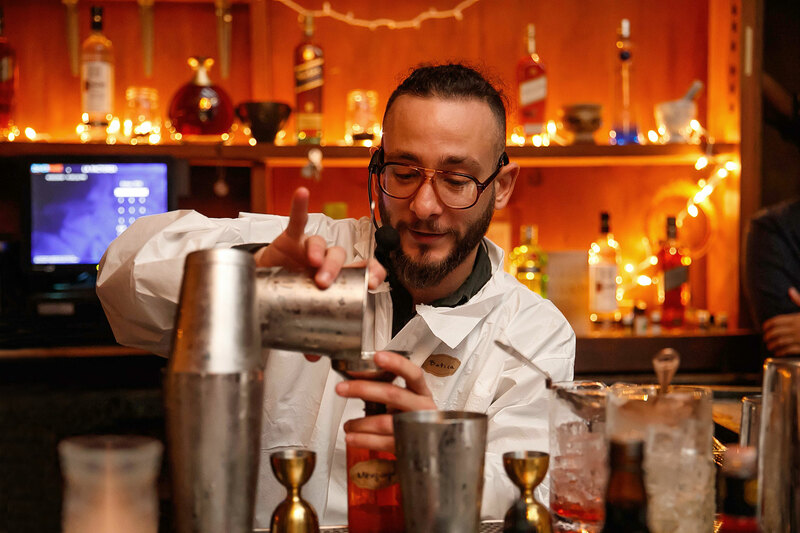 Being a mixologist calls for a great deal of knowledge, according to Jorge Lopez Albarran, outgoing president of the Puerto Rico Bartenders Association. An affiliate since 1992 of the International Bartenders Association, the group, which has around 800 members island wide, has contributed to professionalizing the field through workshops, courses, and competitions whose winners go on to participate in international events, such as the upcoming Pan-American Cocktail Championship in Havana, Cuba, in August, and the IBA World Cocktail Championship to be held in Estonia in October. Think of the mixologist as a type of polymath. As described by Lopez, he must know about spirits, wines, coffee, the pairing of foods and drinks, which spirits go best with cigars and chocolate. Lopez is an award winning master blender and consultant whose company, Gourmet Business Solutions, supplies ingredients like syrups used in making drinks and foods. Puerto Rico has various educational institutions that train people for work as a bartender or mixologist but this is a career that some take up without any formal training. Others come to it by chance as happened to bartender/mixologist Roberto Rodriguez, the owner of Tablas Restaurant in Salinas, on Puerto Rico’s South coast. 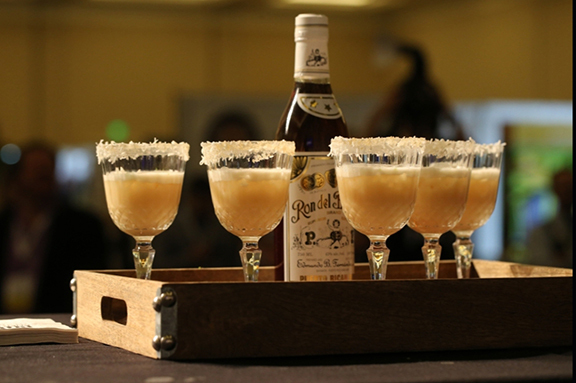 Although he went on to study cooking at the Institute of Banking and Commerce and bartending at the Puerto Rico Hotel School, Rodriguez admitted he wasn’t convinced bartending could be a permanent career but in 2009 he represented Puerto Rico at IBA’s annual competition in Berlin and “it opened my mind. It taught me this was a serious profession and you could live off it.” More importantly, “I didn’t win this competition but it made me completely fall in love with the industry,” Rodriguez said. In 2013 and 2014, Rodriguez was part of the Puerto Rico Hotel and Tourism Association culinary team that won the Taste of the Caribbean competition. He has been named Bartender of the Year and Bartender of the Caribbean, also entering the mixologists’ hall of fame in these competitions. A year and a half ago Rodriguez parlayed his experience working in hotel and independent bars into opening his own business, Tablas Craft Cocktail, a breezy open air restaurant in Salinas that features more than two dozen cocktails of his own creation that have been recognized in local and outside competitions. “I’m doing very well but it was a challenge after Maria,” he said. La Coctelera’s Pagan is a slightly built young man with a hip hop haircut and an easy smile who looks younger than his 30 years of age. Turns out that he’s a natural at his craft and never formally studied to be a bartender. In fact, his first experience as a bartender was kind of a trial by fire. He was working in a restaurant while going to college and one busy December day the bar was short an employee and he was asked to fill in. He had made it a habit to watch the bartenders at work so he managed just fine. Tending bar didn’t last long, however. Pagan said he dropped out of university when his mother fell ill and decided to study holistic medicine, going on to work for many years as a masseur. Four years ago he came back to bartending only to find to his surprise that the cocktail scene had changed dramatically: different cocktails, new ingredients, mixologists, homemade infusions. To get up to speed he studied on his own and signed up for competitions. In 2016 he was a finalist in the Puerto Rico edition of the Diageo World Class event and last year he won the title of Bombay Sapphire Most imaginative Bartender by preparing two cocktails — one creative and the other a gin and tonic — in the assigned time of 13 minutes. Named “The Four Thieves,” his imaginative drink struck an intriguing balance of tastes and aromas from ingredients that included Bombay Sapphire gin, lime juice, spice-infused honey syrup featuring clove, eucalyptus and cinnamon, rosemary sprigs and sage leaves. “Competitions are a challenge, they motivate you to be more creative,” he said in an interview at La Coctelera, which has a simple but appealing decor. Its centerpiece, next to the bar counter, is a striking wall assemblage of square and rectangular blonde-wood cabinets filled with colorful liquor bottles. Puerto Rico has plenty of liquor competitions. According to Joel Vasquez, American Beverage Marketers’ Caribbean general manager, the island’s liquor distributors have created their own competition platforms “in order to give value to and elevate the knowledge about their brands.” International competitions with Puerto Rico editions also provide exposure for local participants. 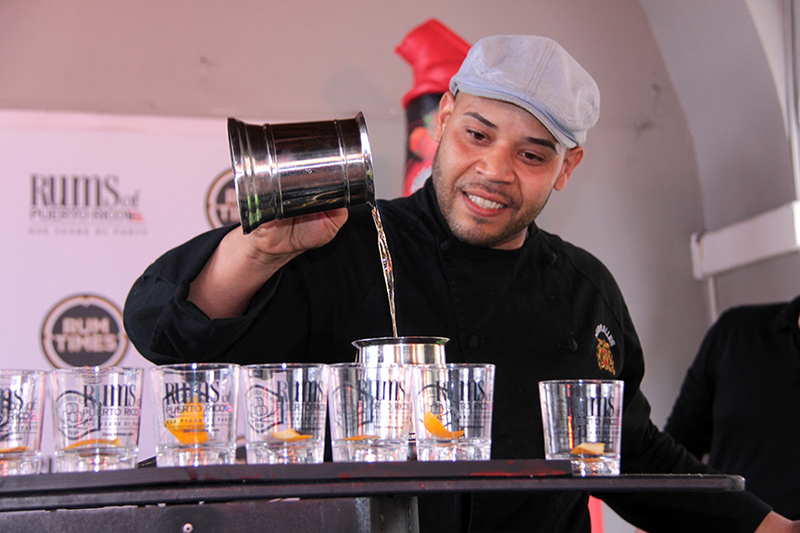 Mixo Madness, an event developed by the Crafted Barrel Group for Rums of Puerto Rico, seeks out the best bartenders in various categories; winners go on to compete on the mainland at a grand finale pitting finalists from other states. Bartenders are rated on how well they mix flavors, knowledge of local rums, technique, even how they express themselves and interact with the public. Another CBG event is the Speed 4 Tips competition: it tests the bartender’s speed, correct usage of techniques, ability to remember recipes, neatness and precision. 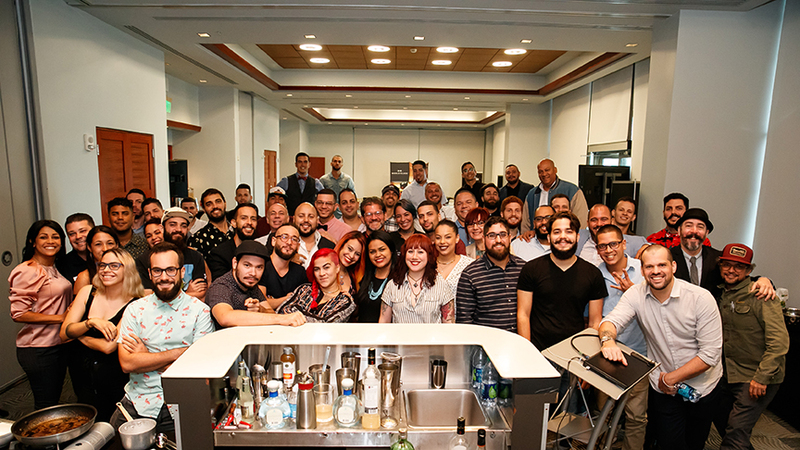 The biggest competition in the world is the Diageo Reserve World Class which is held in 60 countries, including Puerto Rico and since its launch in 2009, this competition “has supported, educated and inspired over 250,000 bartenders through its training and advocacy program,” according to the World Class Club website. For participants, competitions are not just an opportunity to show off their skill, talent and professionalism but also a chance to learn from interacting with and observing other professionals. It doesn’t hurt that prizes include traveling, either nationally or internationally, as an ambassador for the sponsoring liquor brand. 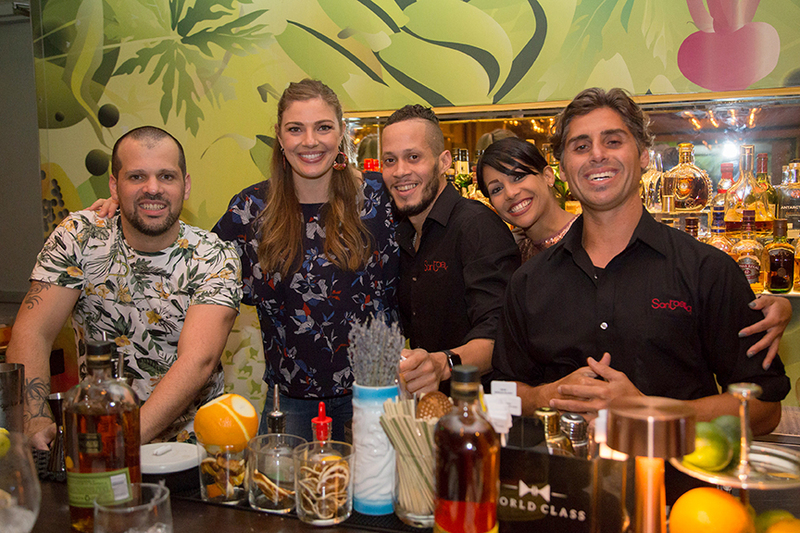 Sometimes, a competition can prove a turning point for a bartender as was the case for Tablas’ Rodriguez, or even teach an important lesson as happened to Berdecia when he participated in the 2011 World Class Final held in India. He had won the Puerto Rico leg of the competition with two creative cocktails, one of which he named in honor of murdered Guatemalan environmental activist Myrna Mack. A variation of the Classic Rob Roy, a mix of Scottish whisky with vermouth and amaro, his version teamed up Guatemalan Ron Zacapa with vermouth, apple infusion and orange amaro. 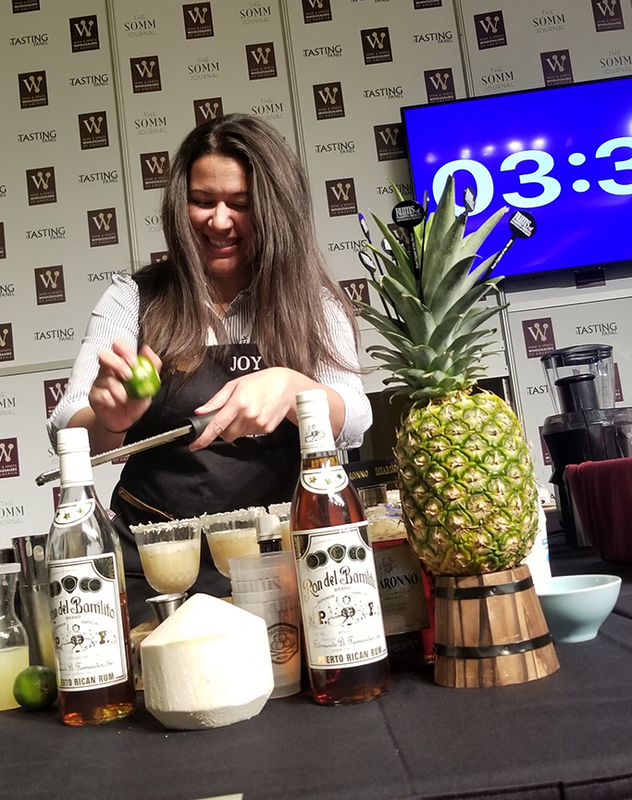 Over at the Wine & Spirits Wholesalers of America in Las Vegas, Puerto Rican mixologist Joymar Herrin took the People’s Choice category with her concoction Sand Break made out of 3 Star Barrilito Rum. Sand Break also has a pinch of orange, coconut, lime, egg white and a splash of Disaronno amaretto. Combine all ingredients in shaker and serve in a glass with its rim covered with brown sugar and coconut. “Sand Break is my interpretation of the moment right before emerging in the ocean. Your feet are in the sand and the waves are breaking on the edge. As a good ambassador of my island I like to use quality products that presents something authentic and traditional of Puerto Rico,” said Herrin. Puerto Rico’s bar scene is evolving and getting better. In recent years, bartenders have noticed a greater openness by local drinkers to try out new drinks instead of staying within the confines of a safe comfort zone. Drinkers are more demanding and are changing consumption habits: they are more likely to savor a few cocktails than drink to excess, according to Tapas’ Rodriguez. They also are more informed and will look up information about cocktails on the internet so they know if the bartender gets it right, Lopez said. In a service industry based on making people feel good, the experience of having a great drink in a great bar is ultimately what brings repeat customers. “People may forget your name, the drink you fixed for them and even what you talked about but they never forget how you made them feel, how you treated them, the service you gave,” said Pagan. If the bar and bartender made the person feel good, you can be sure they’ll be back.